When the terrain requires lightweight speed and dexterity but the conditions demand full protection, the Black Diamond Sharp End Shell serves as the ideal armor. 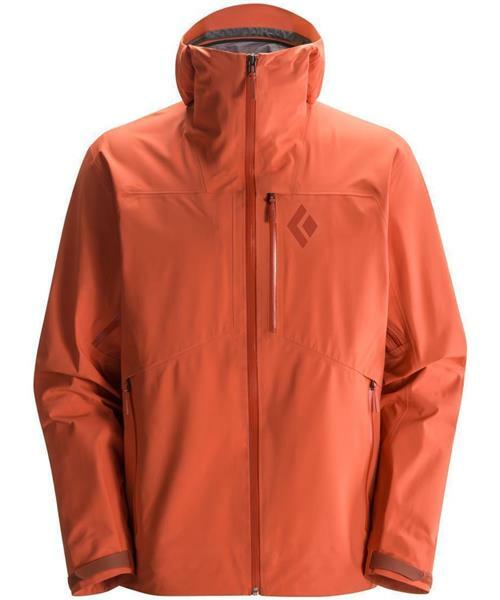 Combining a lightweight face fabric with the durable waterproof breathable protection of Gore-Tex Pro, the Sharp End is trimmed down and packable. A full underarm gusset adds a superior range of motion for high reaches on route. Cohaesive cord-lock technology in the hood and hem allows for fast, one-handed adjustments, while chest, harness-compatible hand and internal pockets make for ample and versatile storage. Sharp End Shell - Mens is rated 5.0 out of 5 by 1.